One hotly debated subject in the SEO world is does social media help SEO? Can social media really affect organic rankings? Does Google count your Facebook followers? Does it really matter whether you’re active on Twitter? Can your Pinterest profile make a difference? The answer is that social media can have a fantastic impact on your SEO and your rankings but not in the way you might think. As I’ll be exploring in this article, it’s unlikely that social media directly causes an increase in rankings – i.e. it’s not the case that the more followers you have, the higher Google will rank your website – but there are some clear links between social media and SEO that you shouldn’t overlook if you want to boost your organic reach. 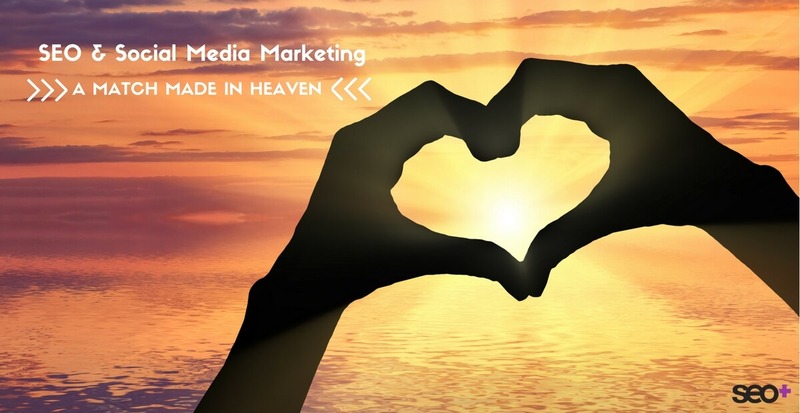 While marketers often see SEO and social media marketing as mutually exclusive from one another, my personal belief is that they’re hugely beneficial to each other, a match made in heaven. Back in 2014, Google’s Matt Cutts released a video saying that content on social media that can be crawled would be indexed like any other web page but that the search algorithms didn’t currently look at the number of followers you have on any given platform as a ranking signal. This video created waves among SEO experts and marketers who had previously believed that an increase in social media followers directly caused an increase in rankings. Even when Gary Illyes, a Google Webmaster Trends Analyst, reiterated Matt Cutts’ words in 2016 that social media isn’t a direct ranking factor, people just couldn’t shake the feeling that there was a strong correlation between the two. That same year, Searchmetrics’ whitepaper, Ranking Factors 2016, concluded that, “The correlation between social signals and ranking position is extremely high” and “The top-ranked website in Google’s rankings displays vastly more social signals than all other pages, even more so than in 2015”. This backed up the anecdotal evidence and individual data that webmasters, marketers and SEO experts were gathering. The correlation might be indirect but it doesn’t make it less significant. 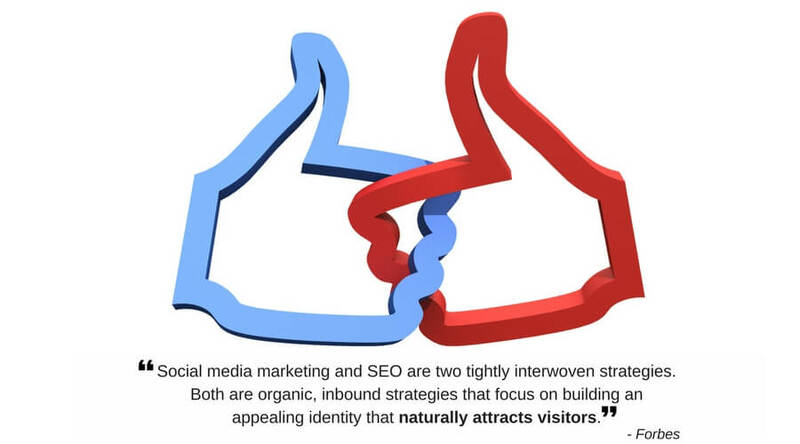 So, how does social media marketing indirectly affect organic SEO? As we’ve seen above, people had previously believed that rankings could be directly influenced by the amount of social media followers associated with a brand. However, as experts such as Neil Patel point out, “Social sharing and SEO is less about the amount of shares and more about the impact of those shares”. In other words, you could write an article that strikes a chord with 100 readers who all share it to their relatively small networks but the bigger impact and reach would, in fact, occur if your blog was seen by just one influencer in your industry who is followed by thousands of people. Therefore, shares on social media are more about who’s sharing than how many people are sharing. In turn, if Google sees that an influencer – someone who already has a great reputation and who ranks highly – is mentioning or linking to your content then you’re probably creating content that deserves to rank higher for relevant searches. In this way, social media is an authority marker. Google will look at signals such as who’s sharing your content, and the domain and page authority of the sites giving you backlinks, and consider those signals as part of its ranking algorithm. This may sound daunting but, given that the person you want to reach is likely to be active on social media, a first step is to mention or tag them on the platforms where they’re most visible. You can even post a shout out or thank you for how their great content has inspired you. As the influencer will appreciate the shout out, they may well follow-up by reading your content and, hopefully, sharing it with their followers. Another effective strategy is to include quotes from industry experts in your blog articles. This will reassure your audience that you’ve done your research and your views are supported by some of the industry’s most respected thought leaders. Publishing great content on social media creates an opportunity for people to share it and link back to it from their own domains. In fact, Ron Dod from Search Engine Journal emphasises that it’s not really the number of shares on social media that make a difference but the number of backlinks that come from those shares. From Google’s perspective, if lots of different domains are pointing back to your content as a valuable resource, each link counts as a vote of confidence from someone outside of your organisation, more so if those links come from high authority domains. To attract as many links back to your content as possible, you need to gather insights into who your audience is and what makes them tick. It needs to resonate with them so that they will want to talk about it with others. It’s usually best to split your audience into different segments so that you can drill down into the specific needs of each group. Your aim should be to provide content that adds value by meeting a need, solving a problem or reflecting the aspirations of the reader. Constantly ask what people would want to find when they come to your site and create content that addresses the reason they’ve taken action to search. Look at the search data available in Google Search Console. Think about the main enquiries you receive or your customers’ most frequently asked questions. Make a note of what gets people talking on your social media profiles. Social Warfare – This social sharing plugin is my favourite plugin of its kind – it looks great, it’s easy to use and is an excellent way of showing readers that other people love the content they’re viewing. Click to Tweet – Pull out soundbites from your blogs that people can share as Tweets with a link back to the full article, then track the activity of each link. Add This – Social share buttons that ‘float’ on the page as people scroll through so that readers can share to their networks at any point while reading the article. Pinterest ‘Pin It’ Button – Add a ‘Pin it’ button to your images so that readers can share your content to their Pinterest boards. Email people you mention to let them know you’re publishing an article that cites them. Actively comment on influencers’ social media pages and blogs, and on your own social media profiles – without initially trying to promote anything – so that you generate good will and prove yourself to be part of the conversation. People will then feel good about sharing your content and buy from you on the occasions that you do promote your products or services. Use hashtags and tags to boost your visibility and help people find your content. Google is a business and, as such, its priority is to give searchers a list of websites that are most relevant to their search. Google therefore rewards websites that it knows to be relevant. Social media marketing is a stage on which to show your relevance to your target audience. As we’ve seen above, it can be done by publishing original content that speaks directly to different segments of your audience. It can also be achieved by sharing helpful content from thought leaders, or providing advice and further resources. But social media marketing isn’t just about being seen; it’s about making sure you’re heard too – the microphone to address a crowd. According to Search Engine Journal’s Ron Dod, 571 new websites are created every minute, which means that there are a lot of articles out there on the same topics. If you can build your audience and then, through your content, show how much you understand what makes them tick, it will grow your reputation for quality and relevance and as a voice to be trusted amongst the noise of the 24/7 online world. These changes will help people spot your relevance at a glance, even before they’ve read your content. You can also help readers and influencers find your content by using hashtags and tags on social media, as well as categories and tags on your blog, to group similar topics together. In Ron Dod’s article, How social media helps SEO [Final answer], he talks about how, if you’re able to increase traffic for branded searches using social media, Google is likely to eventually rank your web pages higher for generic keywords. To use Dod’s example (you can read the full case study here), a relatively small company, Fashion Nova, managed to rank number one for the keyword ‘fashion’ at the beginning of 2017, and also achieve high page one rankings for ‘jeans’, ‘jumpsuit’ and ‘denim dress’. When Dod dug into their SEO and social media marketing, he discovered that where Fashion Nova stood out from their competitors was the massive following they had generated on social media, particularly Instagram where they currently have an impressive 9.5 million followers! Although Instagram is ostensibly a poor platform for generating backlinks, what Dod found was that people were seeing Fashion Nova’s posts and then heading to Google to search for ‘Fashion Nova jeans’ and other items. It would appear that because such a high volume of fashion searches included the term ‘Fashion Nova’, Google eventually decided to rank the company high for generic searches too. This has enabled Fashion Nova to rank alongside long-established brands such as Levi’s, H&M, Nordstrom and Macy’s. The Fashion Nova example illustrates yet again that social media can have an indirect and sometimes unexpected influence over organic SEO. You might be tempted to discount a platform like Instagram from your social media marketing because you can’t post links in individual posts but let’s not forget that there’s a reason companies are pouring time and money into advertising on this platform. Fashion Nova has shown that generating a buzz around your brand can lead to a sharp increase in branded searches and, consequently, being found for generic searches. Adding a link to your website in the bio – you can change this link as often as you like, so it could link to your latest blog article, lead magnet, course or a product. Tip: Try including some emojis next to the link to attract people’s attention. Posting an Instagram story and including a URL and call to action on the post – the link will only last for 24 hours but should get attention from your followers while it’s live. Your focus in this area needs to be on growing the visibility of your brand on social media so that people are encouraged to carry out branded searches in Google. 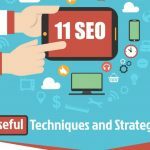 In an article for Moz, The battle for traffic: Organic SEO vs. social media marketing, digital marketing consultant, Alexandra Tachalova, looked at 10 well-known blogs to explore the correlation between social media marketing and search engine rankings. From this research and her own clients, Tachalova has found that people are more likely to like and share content than they are to click on it, so that for every 40 interactions on social media you will only get one click through to your website. Consequently, websites that lead in social media engagement tend to lead in traffic volumes too. If the 40 interactions to every one click ratio is correct, then it shows how important it is to focus on engagement. Try to keep an eye on the type of content and topics – both your own and that of your competitors and industry influencers – that attracts the most engagement/clicks. You can help to encourage more clicks by creating clickable Tweets and statuses that include a link to your website. I agree with Tachalova that you should ignore the kind of ‘Follow back’ strategies that used to be rife on social media, e.g. ‘Likes ladders’ where people would post a link to their own social media profiles in exchange for clicking on everyone else’s links. This type of engagement might ‘game’ the system in the short-term but it won’t give you long-term engagement. Instead, the key is to find people who are genuinely interested in your message and will therefore be motivated to engage with your posts and click on your links. In her article for Moz, Tachalova suggests using Google Analytics to identify your largest referrer of social media traffic and focus on ways to increase engagement on that platform. If you’re able to put just a few of the recommendations in this article into action, you will hopefully begin to see an increase in shares, backlinks, traffic, domain authority and page rankings. Social media can also indirectly influence your organic SEO efforts by encouraging readers to spend time on your website reading the content that’s most relevant to them – this is known as ‘dwell time’ or the average time on the site. The happy result of this is that Google tends to reward websites with high dwell time by increasing their rankings. Also, by creating engagement with relevant content, you can bring down the bounce rate on your website, e.g. the percentage of people who exit your site from the page they entered without having visited any other pages in between. 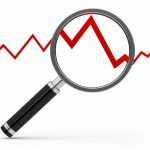 A low bounce rate is a positive ranking signal. High bounces rates and low dwell time can be signs that your content isn’t up to scratch. Couple that with minimal engagement on social media and you might need to rethink what you’re creating. With this in mind, two statistics you should monitor on a regular basis are ‘Average time on site’ and ‘bounce rate’ in Google Analytics. When all is said and done, social media offers us a way to promote content, be found online and show our relevance to our potential customers. Good SEO is about this too. Organic SEO and Social media marketing belong together – it’s a pairing too good to ignore and has consistently given our client’s vastly improved search engine ranking and conversion results. Want to know more about getting SEO and Social Media Marketing working for your business? Let me know in the comments below or contact me here. We’d love to help you. You nailed the correlation of SEO and social media with it. Wish you a happy and successful 2018! Thanks Ivan. Wishing you a happy New Year too. Awesome! Great that you got real value from it. I love CTT and always make sure that I include at least one or two in each blog post. I have not really thought about adding the “Pin It” button though. I always felt that people are always quite used to that. I do make sure that I add Pinterest verbiage though. I do want to make it as easy for people as possible. Social Media sites are one of the best place to promote things. Social media sites is a great place to connect with your audience and build your presence online. Thanks for sharing these great tips and insights with us all. I’ve noticed that with Instagram, it is a very fickle audience. Sometimes a post will do really well, and then a similar one will flop. Hashtags are good to an extent, but only if people follow that specific hashtag. At the end of the day, it’s plain old marketing and friendships that have increased my followers. I’ve made a very sweet friend in the Phillippines, and follow some really cool people. I don’t think my blog or website is really helped by Instagram, but I’m not giving up yet.